The greatest success we achieve in life will not be money, it will be happiness. When we master our own happiness, we have a natural and positive impact on all of those we interact with. Wherever we go, we have the power to make the environment more successful. Morale is everything in business, so the first type of success we must strive for is personal, then we must bring this positive, happy and productive attitude to work with the determination and intention to make a difference. There is no better way to enter a new day than with a smile on our face. We must wake up and make the conscious choice to smile. If we wake up on the wrong side of the bed, we must find positive things to focus to elevate our mood. The intention to be happy, smile and laugh makes us more productive. Neuroscience has proven that laughter is truly the best medicine. If we are down, being able to see the humor and laugh a little, serves to immediately decrease stress and increase motivation. To be successful, happy and productive, we must be resilient. We are bound to face hardships, but we must take full direction over the attitude we use to get through those hardships. A hardship is simply an obstacle or a challenge. It is our job to rise to that challenge and show ourselves and the world exactly who we are and what we’re made of. We must take the viewpoint that hardships are designed to make us hardy. We must use them to build upon our strengths, expand our skills and deepen our knowledge. The more resilient we are, the more successful we have the potential to become. Success and happiness aren’t what we have, they are what we do; therefore, we are the most productive when we’re backing our beliefs with action. Because happiness is largely a byproduct of achieving, we must train ourselves to think in benefit of things we desire to feel and experience. If we focus on being happy, if we intend for it, we will make it happen. When we direct our thoughts towards our success, and we work hard to create what we want, our success and happiness are nearly guaranteed. Intention plus action, equals increased productivity. Optimism is a choice. To be happy, successful, and productive we must be mindful of the good, and force ourselves to look on the bright side. It is important to re-direct our thoughts to the successes we’ve had during the day, and get our mind off all the “issues.” This mental focus decreases stress, rejuvenates our energy levels, and keeps us feeling hopeful and inspired. When we stay focused on the bright side, we more easily find solutions to our challenges. When we focus on the things that are going great, we give ourselves the gift of receiving little rewards throughout our day; leaving us feeling greater levels of accomplishment. Life is extremely complex because we’re having to balance so many movement elements each day. To stay motivated and inspired, it is helpful to appreciate the simple, easy-to-come-by pleasures life has to offer. To stay productive, we must take time to appreciate hugs from our loved ones, a pat on the back from our bosses or peers, the compliments we get during the day, finding a great parking space in the morning, and the great cup of coffee we had upon waking up. When we are thankful for all that life has to offer, life and career are more fulfilling and easier to enjoy. Nothing will raise our spirits more quickly than being generous and kind towards others. It’s a wonderful experience to see the results of our contributions. It motivates us and makes us desire to be even more productive. We must make it a significant part of our personality to find the holes where we can help, give, or support those in our lives. When we do positive things for others, not only do we become more likable and successful, but we feel good about who we are. We get the joyful feeling of the “Helper’s High” when engaged in helping, serving, guiding or loving others. 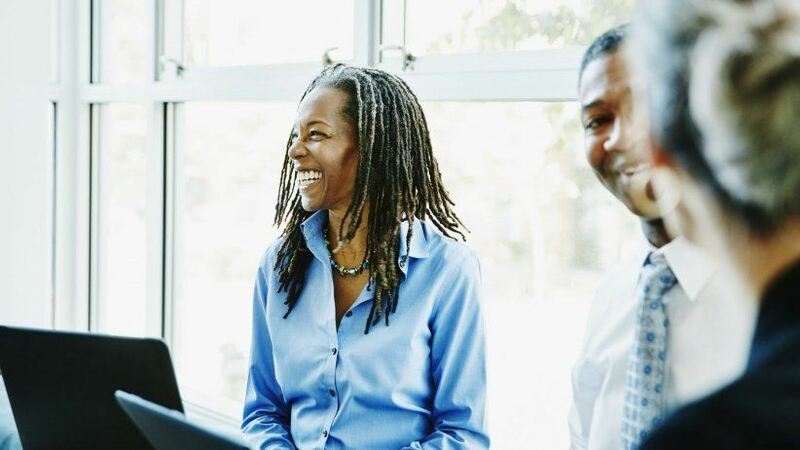 When we’re totally immersed in work or projects that are challenging, invigorating, and meaningful we experience being in our “zone.” Happiness is most deeply experienced in the workplace when we are totally absorbed and caught up in what we’re doing. When we love what we do, the “work” becomes our passion, and the financial abundance the great side effect. For us to love our careers, we must see them as something we are willing to do. We are most productive when we are doing what we want to do, rather than what we’re forced to do. People who are more deeply connected to a select group of people tend to be happier and more productive than those who have large numbers of superficial connections. It is less stressful to maintain a smaller group of people, and more fulfilling to feel and be involved in relationships where we can share what makes us tick. Substantive conversations bring us more depth and feelings of belonging than trivial, superficial chit-chat. Bottom line, we all crave being able to express our feelings, and to have them received. The more supported we feel in our lives, the more energy and confidence we have to show up and be productive in all the ways life and career require. When we listen, we open our ability to take people and knowledge in. We become smarter, more insightful, and much more productive people from listening. When we cannot, or do not have the patience to listen, we block the world with our own words and distracting thoughts. To be productive, we must be open to learn. The more knowledgeable and connected we are, the more confidence we have, and the more our self-assuredness radiates out to others. When we listen, we walk away from every conversation, training or experience feeling as if our presence served a positive purpose, which increases our sense of well-being. Although electronic communications are convenient with the advent of Skype, Zoom and Facetime, the happiest people have no problem making the extra effort to either drive or book a flight to see people in person when at all possible. When we see others in person, we experience a deeper sense of connection, and are more productive simply by just being in their physical presence. We get so much more out of communication when we get to experience the whole person. Obviously seeing people in person isn’t always possible, but it is much better to be physically in touch than digitally in touch with others whenever possible. To be happy and maintain high levels of productivity, we must take time to digitally detox. We need time away from computer screens and cell phones. Talking on our cell phone can be stress-producing and blood pressure raising, while uninterrupted time looking a computer screen often leads to depression and exhaustion. Technology is not going anywhere and we can appreciate what it does to make us more successful; however, in order to avoid burnout, we need to partake in some type to digital detox each day allowing us to recharge and recover. Exercise has been proven beyond any doubt to decrease depression, stress and anxiety. The chemicals released during exercise amplify feelings of happiness and relaxation. It is even better if we can exercise outside. Fresh air has largely proven to increase a sense of vitality. Further, there is nothing better than feeling good about how we look. Feeling good and looking good, make us want to do better. The more active we are, the better we feel about ourselves, the more energy we have to be productive.